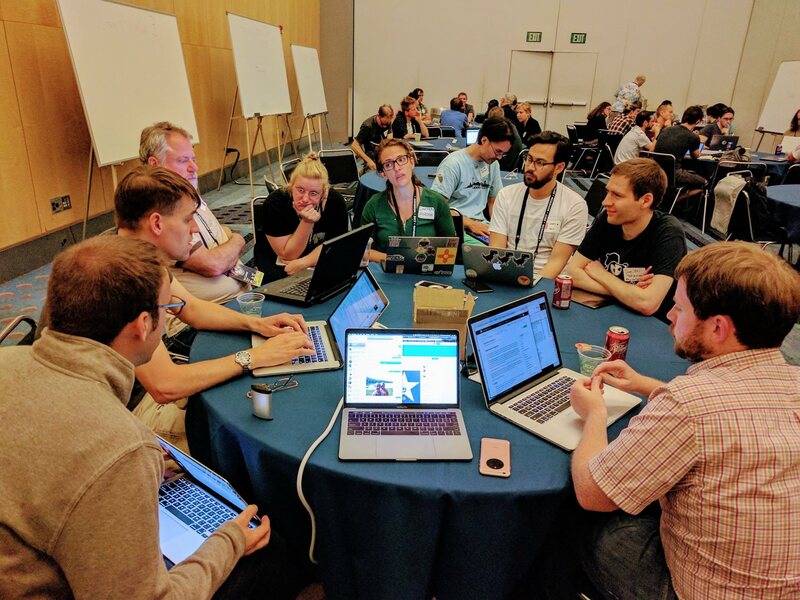 The day before GopherCon, a group of Go team members and contributors gathered in Denver to discuss and plan for the future of the Go project. This was the first ever event of its kind, a major milestone for the Go project. The event comprised a morning session revolving around focused discussions on a theme, and an afternoon session made up of round table discussions in small break-out groups. The compiler and runtime session started out with a discussion about refactoring gc and related tools into importable packages. This would reduce overhead in the core tools and in IDEs which could embed the compiler themselves to do quick syntax checking. Code could also be compiled entirely in memory, which is useful in environments that don't provide a filesystem, or to run tests continually while you develop to get a live report of breakages. More discussion about whether or not to pursue this line of work will most likely be brought up on the mailing lists in the future. There was also a great deal of discussion around bridging the gap between optimized assembly code and Go. Most crypto code in Go is written in assembly for performance reasons; this makes it hard to debug, maintain, and read. Furthermore, once you've ventured into writing assembly, you often can't call back into Go, limiting code reuse. A rewrite in Go would make maintenance easier. Adding processor intrinsics and better support for 128-bit math would improve Go's crypto performance. It was proposed that the new math/bits package coming in 1.9 could be expanded for this purpose. Not being all that familiar with the development of the compiler and runtime, this for me was one of the more interesting sessions of the day. I learned a lot about the current state of the world, the problems, and where people want to go from here. After a quick update from the dep team on the status of the project, the dependency management session gravitated towards how the Go world will work once dep (or something dep-like) becomes the primary means of package management. Work to make Go easier to get started with and make dep easier to use has already started. In Go 1.8, a default value for GOPATH was introduced, meaning users will only have to add Go's bin directory to their $PATH before they can get started with dep. Another future usability improvement that dep might enable, is allowing Go to work from any directory (not just a workspace in the GOPATH), so that people can use the directory structures and workflows they're used to using with other languages. It may also be possible to make `go install` easier in the future by guiding users through the process of adding the bin directory to their path, or even automating the process. There are many good options for making the Go tooling easier to use, and discussion will likely continue on the mailing lists. The discussions we had around the future of the Go language are mostly covered in Russ Cox's blog post: Toward Go 2, so let's move on to the standard library session. As a contributor to the standard library and subrepos, this session was particularly interesting to me. What goes in the standard library and subrepos, and how much it can change, is a topic that isn't well defined. It can be hard on the Go team to maintain a huge number of packages when they may or may not have anyone with specific expertise in the subject matter. To make critical fixes to packages in the standard library, one must wait 6 months for a new version of Go to ship (or a point release has to be shipped in the case of security issues, which drains team resources). Better dependency management may facilitate the migration of some packages out of the standard library and into their own projects with their own release schedules. There was also some discussion about things that are difficult to achieve with the interfaces in the standard library. For instance, it would be nice if io.Reader accepted a context so that blocking read operations could be canceled. More experience reports are necessary before we can determine what will change in the standard library. A language server for editors to use was a hot topic in the tooling session, with a number of people advocating for IDE and tool developers to adopt a common "Go Language Server" to index and display information about code and packages. Microsoft's Language Server Protocol was suggested as a good starting point because of its wide support in editors and IDEs. Jaana Burcu Dogan also discussed her work on distributed tracing and how information about runtime events could be made easier to acquire and attached to traces. Having a standard "counter" API to report statistics was proposed, but specific experience reports from the community will be required before such an API can be designed. The final session of the day was on the contributor experience. 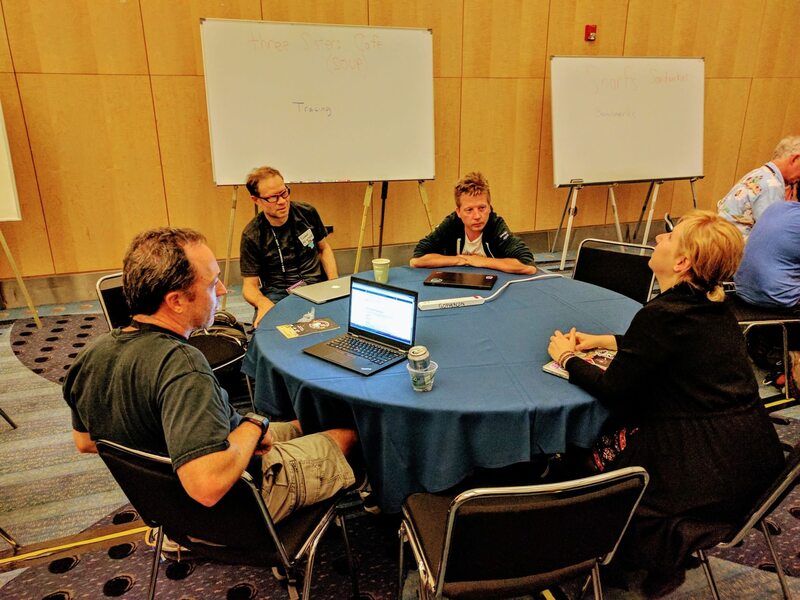 The first discussion was all about how the current Gerrit workflow could be made easier for new contributors which has already resulted in improvements to the documentation for several repos, and influenced the new contributors workshop a few days later! Making it easier to find tasks to work on, empowering users to perform gardening tasks on the issue tracker, and making it easier to find reviewers were also considered. Hopefully we'll see improvements to these and many more areas of the contribution process in the coming weeks and months! In the afternoon, participants broke out into smaller groups to have more in-depth discussions about some of the topics from the morning session. These discussions had more specific goals. For example, one group worked on identifying the useful parts of an experience report and a list of existing literature documenting Go user experiences, resulting in the experience report wiki page. Another group considered the future of errors in Go. Many Go users are initially confused by, or don't understand the fact that error is an interface, and it can be difficult to attach more information to errors without masking sentinel errors such as io.EOF. The breakout session discussed specific ways it might be possible to fix some of these issues in upcoming Go releases, but also ways error handling could be improved in Go 2. 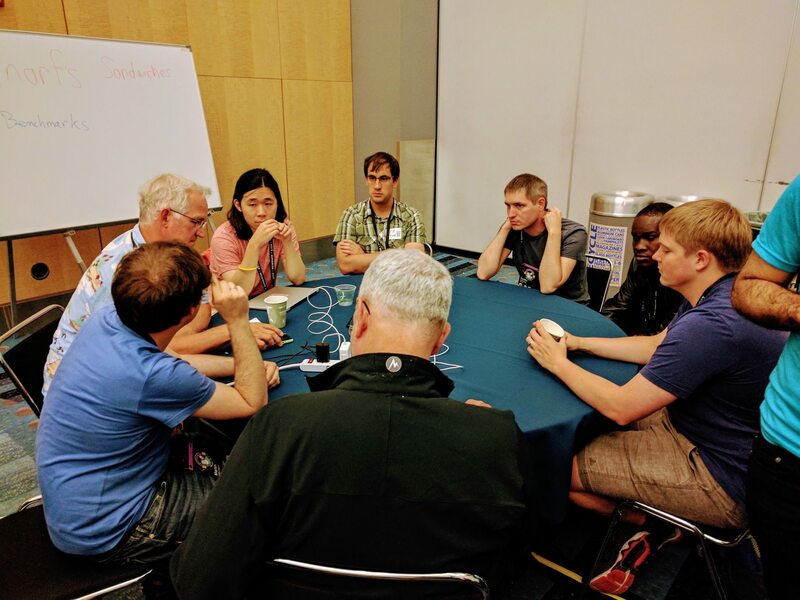 Outside of the technical discussions, the summit also provided an opportunity for a group of people from all over the world who often talk and work together to meet in person, in many cases for the first time. There is no substitute for a little face-to-face time to build a sense of mutual respect and comradeship, which is critical when a diverse group with different backgrounds and ideas needs to come together to work in a single community. 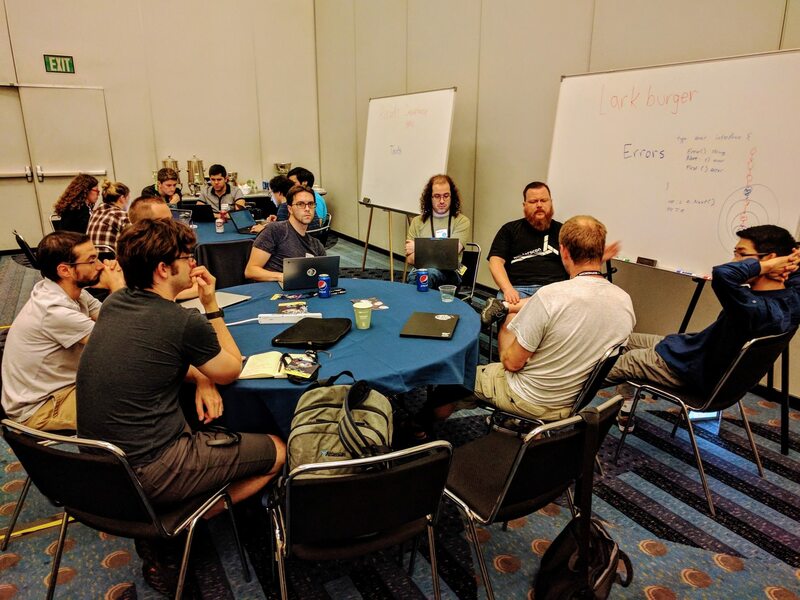 During the breaks, Go team members dispersed themselves among the contributors for discussions both about Go and a little general socialization, which really helped to put faces to the names that review our code every day. As Russ discussed in Toward Go 2, communicating effectively requires knowing your audience. 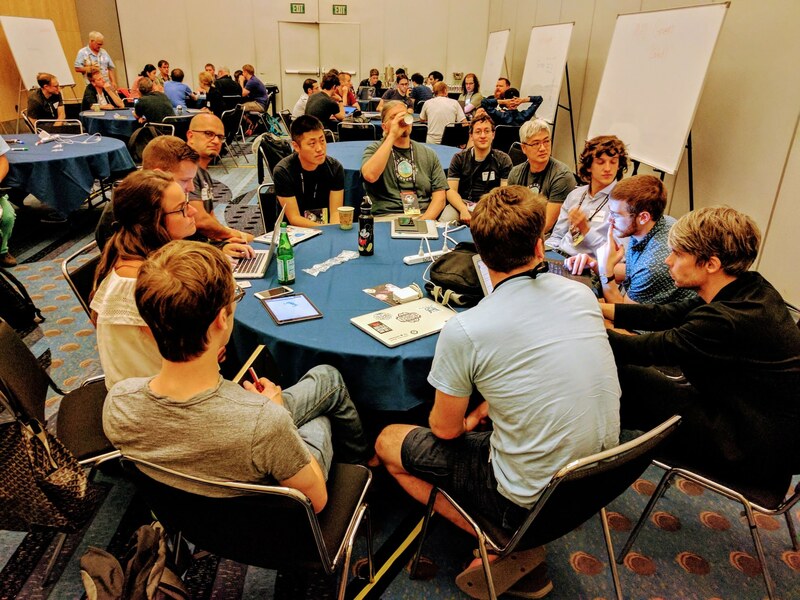 Having a broad sample of Go contributors in a room together helped us all to understand the Go audience better and start many productive discussions about the future of Go. Going forward, we hope to do more frequent events like this to facilitate discourse and a sense of community.